Leaving her native California for the winter cold of Nebraska and switching positions from setter to libero hasn't hurt Justine Wong-Orantes one bit. Nebraska's Justine Wong-Orantes savored playing against the Italian national team last summer as part of the Big Ten foreign tour. But ask her about her biggest career highlight and talk shifts to the Cornhuskers upsetting defending NCAA champion Penn State 3-2 at Rec Hall last Friday. 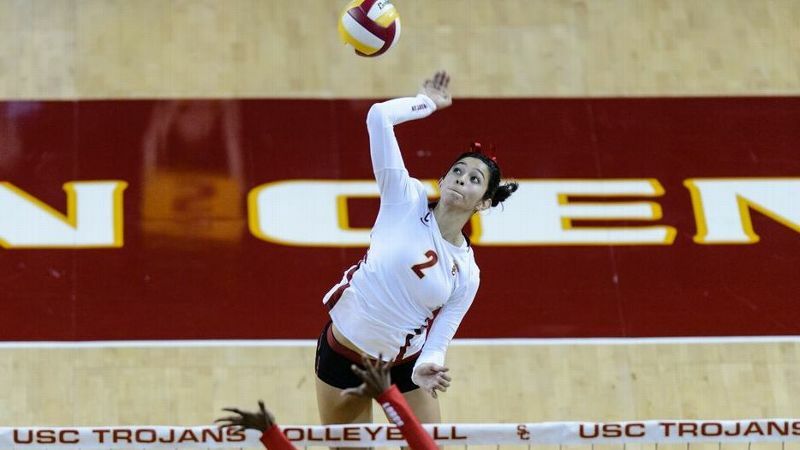 "One for the books," said the 5-foot-6 junior libero, the espnW national player of the week. Consider that Nebraska's last victory at Penn State had come in 1993, before Wong-Orantes was born. Consider that the Nittany Lions obliterated Nebraska in a 25-12 first set -- the Huskers hit .037 -- and led 2-0 going into the break. Consider that the final four is in Omaha this fall, and while the No. 4 Huskers haven't invited themselves yet, snapping Penn State's 33-match winning streak is a giant confidence boost. Consider Wong-Orantes had one dig in the first set. This week's Big Ten co-defensive player of the week finished with a career-high 29 in a match of extended rallies that prompted Huskers coach John Cook to credit his defense. 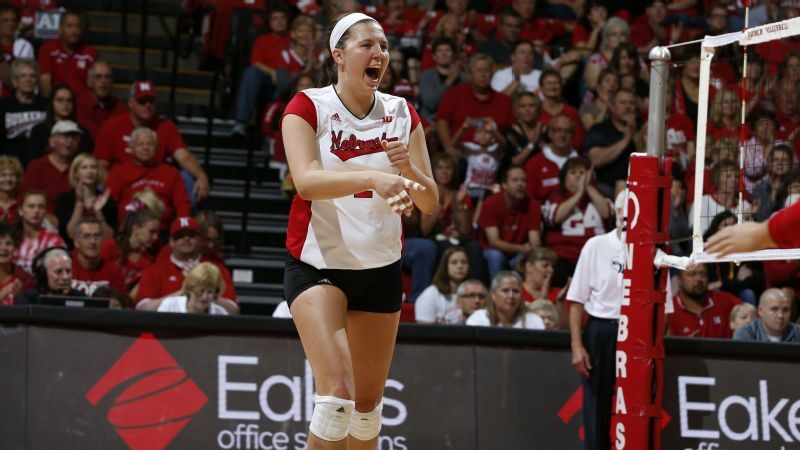 Nebraska (12-2) took the final three sets 25-14, 25-20, 15-11. "Justine was all over the court," Cook said. "She's a very underappreciated libero. She probably has the highest volleyball IQ of any player I've coached. She's able to call things out before they happen." Wong-Orantes collected her 1,000th career dig against Iowa State on Sept. 19 -- reaching that mark in 75 matches, the fastest player in school history to do so. 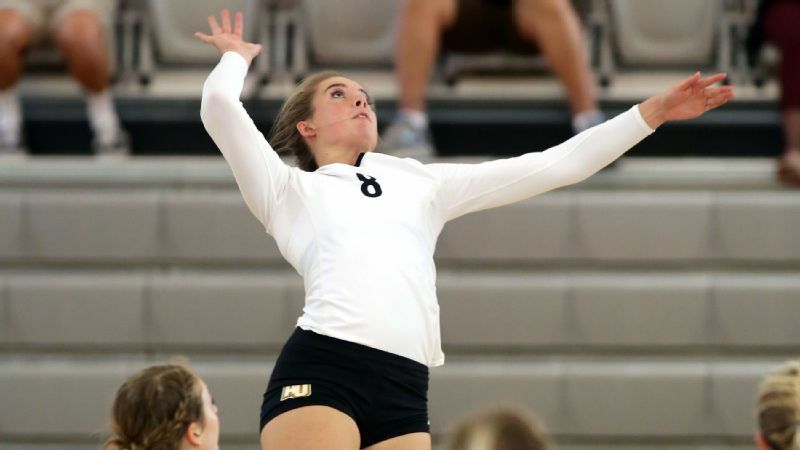 She has played in every set in 59 consecutive matches dating to her freshman year. The native of Cypress, California, majoring in child, youth and family studies, led her Los Alamitos High School team to more victories than any other player in program history. After winning an AAA sand tournament with a partner at age 12, Wong-Orantes achieved an AAA California Beach Volleyball Association rating -- the ceiling for the sand game. "That's just incredible," Cook said. Growing up "born to play volleyball," with her parents coaching and officiating the game, Wong-Orantes said her natural position was setter. But the Huskers needed a libero after the departure of Lara Dykstra, who transferred from Nebraska to Pepperdine to be part of that school's new sand volleyball team. While Wong-Orantes didn't embrace the idea of cold Midwestern winters, she wanted to compete for a major Division I program, and she embraced being part of a school with a rabid fan base. So she changed positions as a senior in high school, crediting her club team, Mizuno Long Beach, for helping her adjust to the more defensive role. "Teams tend to pick on setters saying they don't play defense, but my mindset is no balls are going to drop by me," she said. "Being a setter actually helps my defense. We're the eyes in the back of the front row." Wong-Orantes said her teammates didn't wallow in dropping the first two sets to Penn State; she grew determined to dig every ball, and the Nittany Lions' momentum slowed. Penn State senior outside hitter Megan Courtney, who recorded her 1,000th kill on Saturday versus Iowa, posed a particularly difficult challenge. "She has so many different shots in her toolbox," Wong-Orantes said. "She never has the same shot twice. I thought our blockers and floor defense did a great job adjusting to her." Admittedly, Wong-Orantes said the celebration was short-lived; the next night, the Huskers fell 3-2 at Ohio State, which is ranked ninth this week. The rigor of the Big Ten is one reason why none of the Huskers is looking too far ahead to the final four in their home state. Yes, they huddle and say, "Omaha" on three, a reminder of the long-term goal, but day in and day out, being successful in the Big Ten remains the primary focus. "We definitely have Omaha in the back of our minds," said Wong-Orantes. "But in the Big Ten everyone is so good, so that comes first." The Huskers host Michigan State on Wednesday and Michigan on Saturday.